PM Modi slammed the Congress and the Left parties, saying they had no respect for institutions, including the Election Commission and that their talk about democracy was the "biggest joke". Thrissur: Prime Minister Narendra Modi on Monday targeted the Congress over the presence of its senior leader Kapil Sibal in the press conference held by a self-proclaimed Indian cyber expert in London, where he had alleged EVM rigging in the 2014 Lok Sabha polls. “Entire nation was amused to see a press conference in London, where, on foreign soil India’s democratic ethos was questioned. And, who was spotted in that press conference? A topmost Congress leader. Is this your respect towards institutions and our democracy?” said PM Modi, while addressing a public meeting in Kerala’s Thrissur. 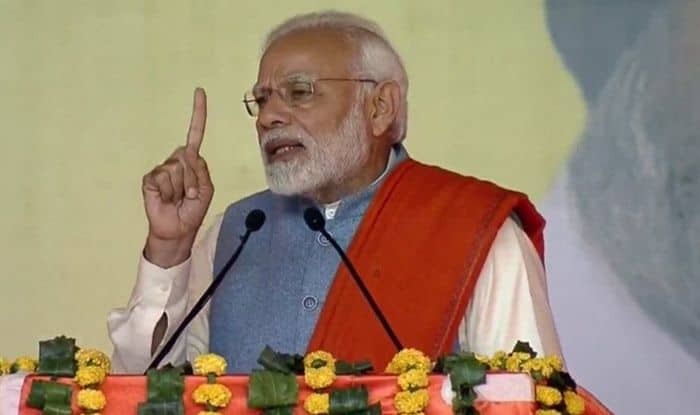 PM Modi, continuing his attack, slammed the Congress and the Left parties, saying they had no respect for institutions, including the Election Commission and that their talk about democracy was the “biggest joke”. Syed Shuja, the Indian cyber expert who is seeking political asylum in the US, had claimed that the 2014 general election was “rigged” through EVMs, which, he said, can be hacked. Shuja also said he fled India in 2014 because he felt threatened in the country after the killing of some of his team members. The cyber expert, however, failed to present any proofs for his claims. On the other hand, a defensive Congress distanced itself from the London press conference while demanding an investigation into the allegations. Vehemently rejecting the claims by Shuja, the Election Commission filed a criminal complaint against the former and asked the Delhi Police to lodge an FIR against him. “What was Mr Kapil Sibal doing there? In what capacity was he present there? I believe he was monitoring the situation on behalf of Congress party. Is the Congress sponsored event designed to insult the popular mandate of 2014?” he asked. Sibal attempted a face-saver saying he was invited to the event like all other political parties. Sibal also demanded a probe into the serious charges levelled by Shuja.